Fruit and nut bar with cacao, peanuts & chocolate chips. 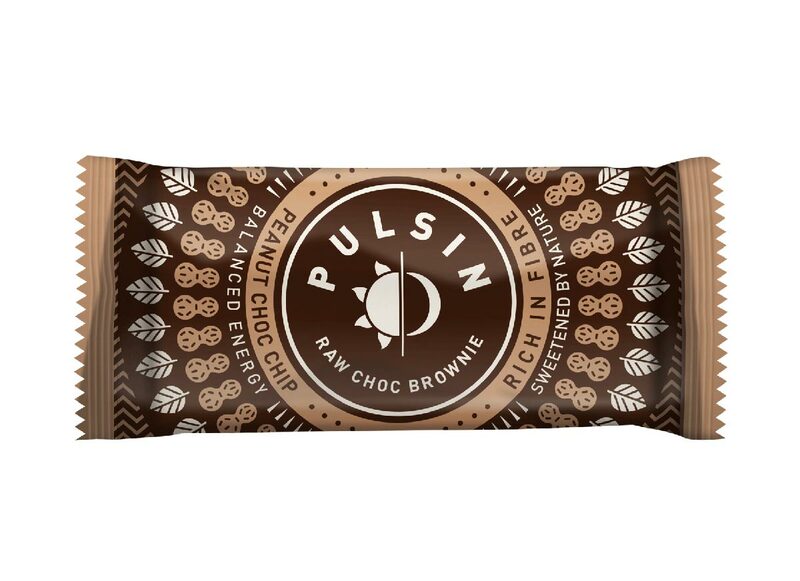 A combination of crunchy peanuts, a smattering of chocolate chips and the raw choc brownie base. Delicious chocolate brownies made using only the finest, 100% natural ingredients. Plus it is reduced sugar, meaning you can enjoy the indulgence of the taste without any of the guilt! These brownies are enriched with raw rice protein powder, to help balance blood sugar and keep you fighting fit. These tasty treats are: suitable for vegans, have no added sugar, are dairy free, gluten free, soya free and non GMO. Peanuts (30%), Dates, Chicory Fibre, Chocolate Chips (Cocoa Mass, Sweetener (Xylitol), Cocoa Butter, Emulsifier (Sunflower Lecithin)) (10%), Cacao (7%), Brown Rice Bran, Brown Rice Malt, Cacao Butter (4.5%), Concentrated Grape Juice, Rice Starch, Sea Salt, Green Tea Extract.